When planning an event Livingston Caterers knows that often times the smallest details can be just as important as the biggest ones. This is where we bring the menu, the venue and all of the details together for your event. We make sure to focus on each and every aspect to ensure that the big picture comes together as perfectly as you imagined. Our years of experience and reputation have built us a world of connections to the best florists, party rental companies, calligraphists, vendors, and photographers in and around New Jersey. 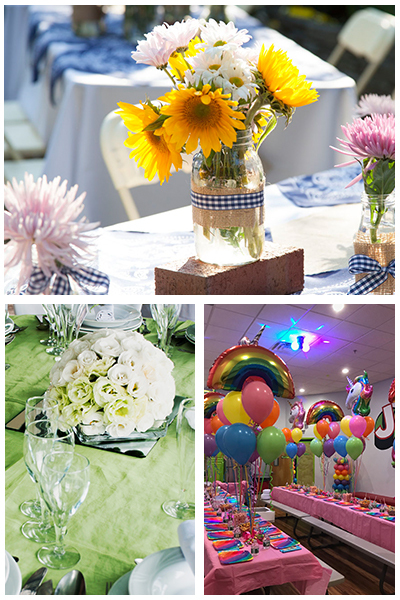 Livingston Caterers are experts at designing and executing stunning and special décor for a wide variety of events. We will work closely with you and your vendors to creatively bring the vision of your event to life by developing an overall cohesive design plan that is as unique as you are. From party rentals, to tabletop presentation, personalized designer menus, and lighting and music, Livingston Caterers will be sure to impress your guests and keep them talking!